There has been minor incident of stone pelting at fort road and Patil galli. Stone pelting by miscreants was also done near Deshpande Petrol pump Fort road. The stone pelting started suddenly by miscreants wearing scarfs on their faces. 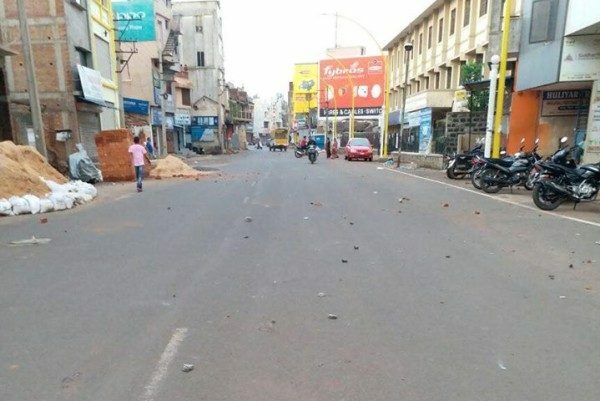 The police has reached the spot and taken the situation under control, what we hear is stones were pelted on the victory procession of Anil Benake. Please don’t spread any kind of rumors and also don’t just forward what you get.